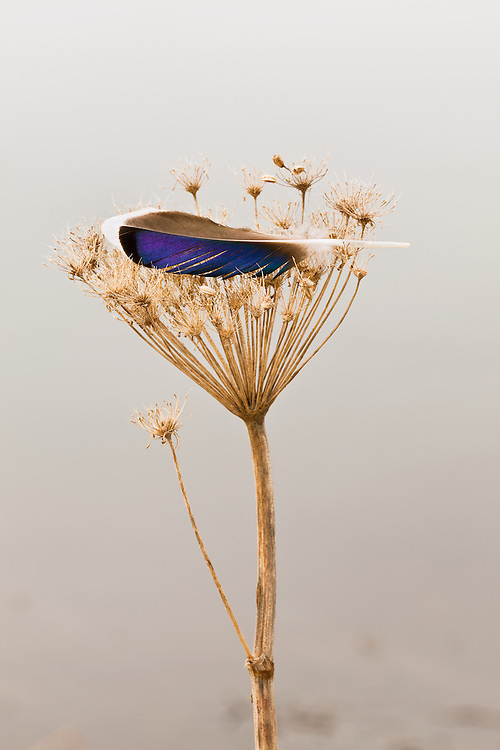 A feather from a bird rests on the dead flowers of Cow Parsnip (Heracleum lanatum) growing along a marsh at the Susitna Flats State Game Refuge near Beluga in Southcentral Alaska. Spring. Afternoon.